Complete schedule, series matchups, TV times, dates and more for the 2016 NBA playoffs. The 2016 NBA playoffs are underway and the Finals are quickly approaching. 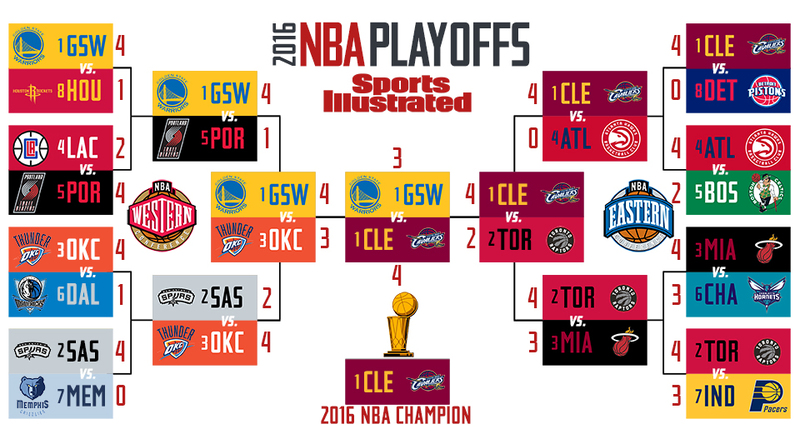 SI.com has the complete schedules for every NBA playoff series, along with game times, TV networks, locations, results and more. Click on a series below to see its specific schedule. (*=If necessary. All listings are in Eastern Standard Time).